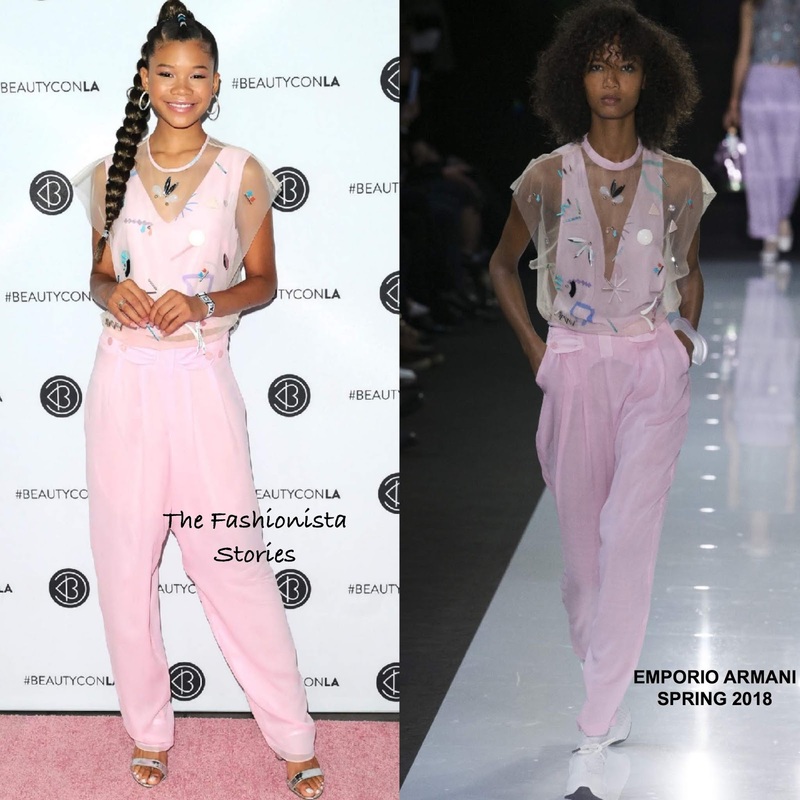 On tune with the pink carpet, she wore a EMPORIO ARMANI SPRING 2018 sheer beaded top which was layered with a pink tank top and pink loose fitting trousers. Storm switched up her ensemble a little from the runway version by ditching the layered plunging neckline top which worked in her favor. While I do like loose fitting trousers, I think these are just a little too big on her. Other than that, she looks great. She finished up with a flawless beauty look and silver metallic sandals.